Business View Magazine profiles The Salt Palace Convention Center, a full-service convention and meeting facility, in Salt Lake City, Utah. The Utah Territory became a part of the United States in 1850, but it wasn’t until 1896 that Utah officially became the nation’s 45th state. And Utahns wanted to show it off. In Salt Lake City, in 1899, the proud citizens there built a great hall out of salt blocks from the Great Salt Lake and brine-soaked timbers. They called it: “Utah’s Wonderful Salt Palace! – The Grandest Amusement Enterprise Ever Attempted.” The edifice sat amid beautiful ponds, gardens, and arbors wrung from the desert sands, and, in the evenings the building was all lit up with new-fangled, electric lights. “The facility was a pretty spectacular one,” says Dan Hayes, General Manager of today’s Salt Palace Convention Center – the third venue in the city to employ the Salt Palace moniker. “The salt crystallized on the wood and it sparkled at night when it was lit.” Inside the hall, which was capable of holding thousands, there were shows, dances, and dance contests, and outside, in the back, packed crowds watched the world’s fastest bicyclers race around a first-class bicycle racing track. But according to Hayes, the Salt Lake City community also built the hall so that it could display to the world its success in industry. “It was an expo hall for the mining industry, here in town,” says Hayes. Alas, the first Salt Palace lasted only ten years. It burned to the ground in 1910. The city’s second Salt Palace was a sports and concert arena built in 1969 with seats for 10,725, later expanded to 12,666. It was the home of the Salt Lake Golden Eagles hockey team from 1969-1991; the Utah Stars of the ABA from 1970 to 1975; and the Utah Jazz of the NBA from1979 to 1991. In 1994, after the Jazz moved out, it was partially demolished to make more room for an adjacent exhibition hall that the community built in 1983 in response to public demand for more local events. The building’s official name is the Calvin L. Rampton Salt Palace Convention Center, named after Utah’s 11th Governor. It is funded by the County of Salt Lake for its operations and capital expenses. “That funding is generally grown off of transient room taxes and other tourism-related taxes,” says Hayes. The Center has approximately 100 full-time employees, and up to 200 part-timers, as necessary. Last year, it hosted 130 events. Over a hundred years ago, the first Salt Palace in Salt Lake City was unique for its time. 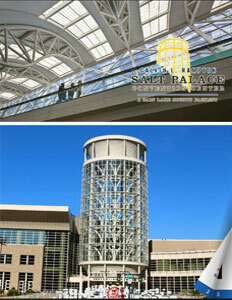 Today, the Salt Place Convention Center has taken not only its progenitor’s name, but also its unique characteristics of amusement, industry, and service to the community. 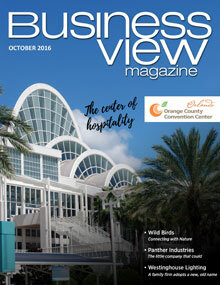 Check out this handpicked feature on Orlando Venues – The Amway Center and Camping World Stadium.